The Gospel of John, with a cover that appeals to outdoor enthusiasts. 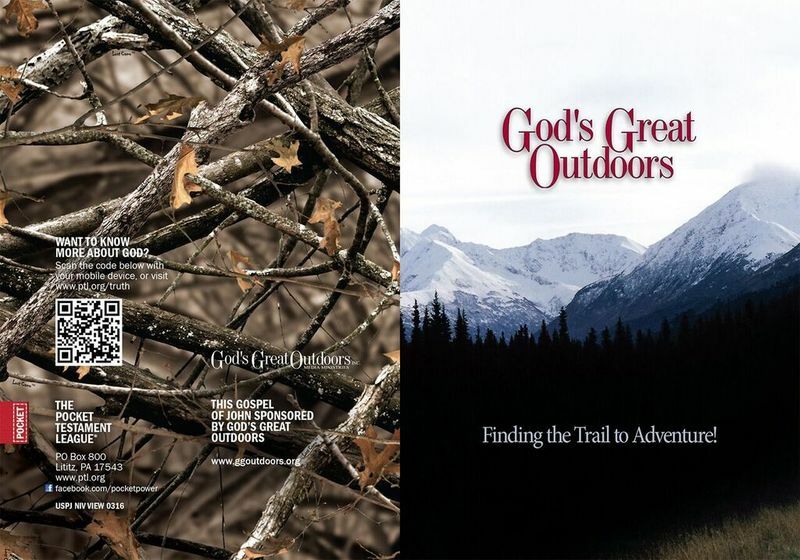 Produced in cooperation with a ministry called "God's Great Outdoors," this Gospel is ideal for sharing with hunters, hikers, recreational fishermen and anyone who loves the great outdoors. Features modern graphic design throughout with oversized chapter numbers to enhance readability. Like all our Gospels, it contains a Plan of Salvation, decision page, and an opportunity to sign up for our free correspondence course. A QR code on the back provides a quick link to learn more about God.